No matter where you go in Montreal there’s always a new watering hole ready to quench your thirst for a fabulous night out on the town. 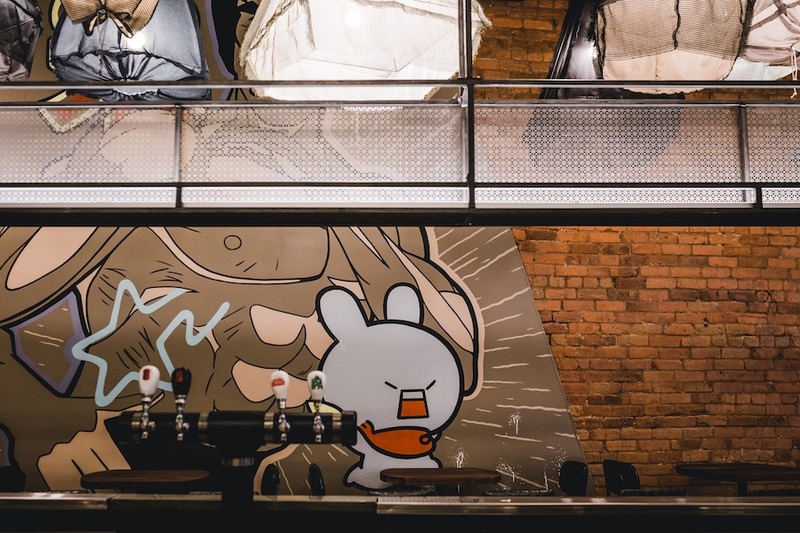 Jiao, a new Asian-inspired bar and dim sum restaurants in Old Montreal, is just such a place. Featuring a swanky, high-end décor, cocktails served out of tea kettles and a selection of shareable bar food, Jiao is a great choice for a 5a7, drinks after dinner or a late night snack. The cocktails, as I mentioned, are served ice cold, some in tea kettles, which is gimmicky but cute. If you like to sip sweetly, these drinks are concocted just for you. I am a bigger fan of cocktails blending a little more bitterly or spicy but to each their own, as they say. Their wine list is concise but offers an honest selection. 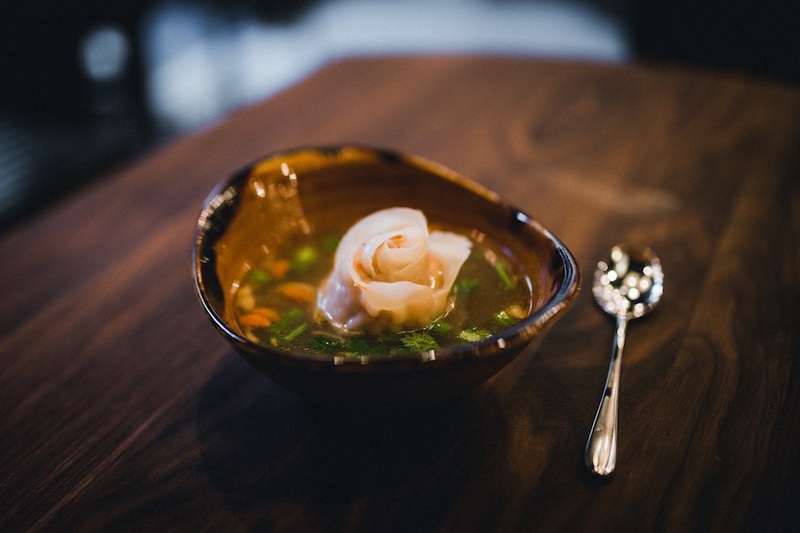 A far as the food goes, Jiao isn’t reinventing the wheel with their approach to Asian cuisine. It’s snack food, pure and simple, which is fine when you’re out for a drink and quick bite. I sampled a number of different dishes a few weeks ago when we were invited to the restaurant to try it. The presentation, I have to admit, is pretty creative. The visual element in dining is almost as important as how good it tastes. This is where things diverge, just a little. 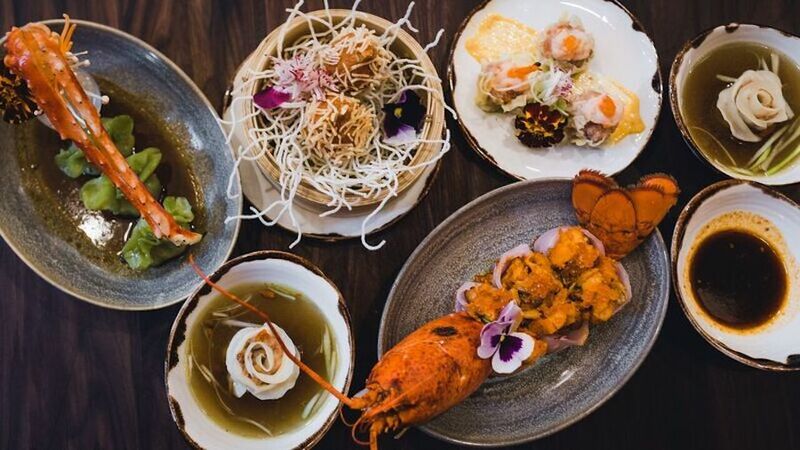 Everything from the dumplings to the general Tao (Jiao) is a little too salty, which you expect from your neighbourhood Asian delivery and not from a place that looks as exquisite as Jiao. It’s far from detrimental (sometimes this is exactly what we want). On one hand it’s comforting knowing that they are not doing anything crazy to food to grab attention but on the other hand it would have been nice to meet the expectations that had shot up the second I walked in the door. Jiao is a great place to see and be seen and while there’s room for improvement with the food, this spectacular bar is worth a visit!